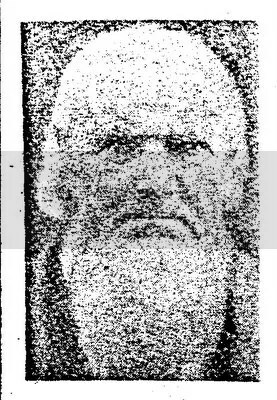 A few weeks ago I wrote about my husband’s paternal 2 times great grandfather, Jacob Galster. This week I would like to write about his father Reverend Mathias Galster. Mathias was born November 2, 1811 in Wurtenburg, Germany and came to the united states in 1829 at the age of 18 with his parents. I have found Mathias on the 1860, 1870, and 1880 census records. Mathias married Rosanna Haller who was also a native of Germany (born in 1806). They were married in Tuscarawas County, Ohio and lived there until 1853, then moved to Huntington County, Indiana, and finally moved to Shelby County, IL in 1864. I was so excited to find this photo of Galster recently added to Find a Grave. It really just goes to show that you have to continue to look in places you have already looked and you might get lucky and find something new! “Mathias Galster…was a minister of the Evangelical Church for some forty years. He was a zealous worker, and had a special tact and talent in organization, having organized four churches in Illinois, located respectively at Pana, Taylorsville, Oconee, and Rural Township; also several in Ohio and in Indiana. He was born November 2, 1811, in the Kingdom of Wurtemburg, Germany, and came to America with his parents when eighteen years of age. He was converted at the age of twenty-two years, and felt that his mission in life was to preach the Gospel to the edification and sanctification of his hearers. The first services that he conducted were held in private houses. In Ohio, he founded eight new churches, and at Huntington, Ind., four churches. Christina (1838-? ), John G. (1838-? ), Matthias (1841-? ), Jacob (1843-1921), Anna Maria (1845-1888), and William F. (1847-?). Jacob was my husband’s two times great grandfather. There was some more information about Mathias on Find a Grave, I am unfortunately not sure where this text comes from. This text mentions that Mathias was instructed privately by an American preacher, and in 1848, Mathias Galster was ordained at Strassburg, Ohio. He first served in the St. Paul’s Congregation near Andrews, Indiana. From there he continued to found churches around Ohio, Illinois, and Ohio. 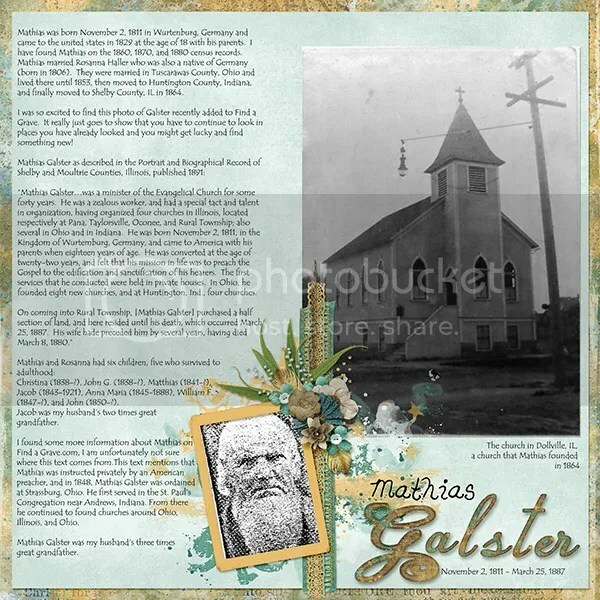 Johannes Galster was born to Reverend Mathias Galster and his wife Rosina Haller Galster in Dover Township, Tuscarawas County, Ohio on September 6, 1849. 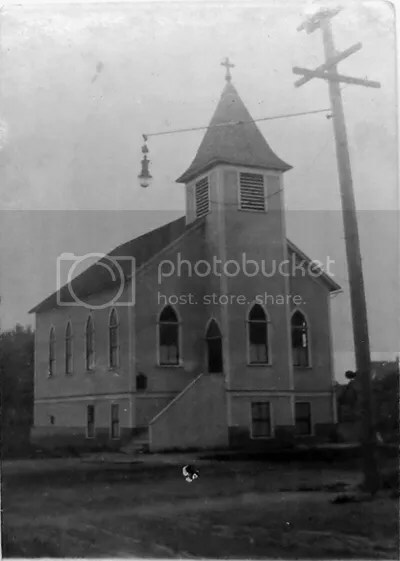 He was received into the church by Holy Baptism on September 16, 1849. Sponsors: Friedrich Maurer and Barbara Maurer. Johannes died in Dover Township on December 16, 1849 and was buried in the Ruslin Hills Church cemetery.